When we talk about natural home remedies to cure premature graying of hair, Amla(goose berries) comes at the top of the list. 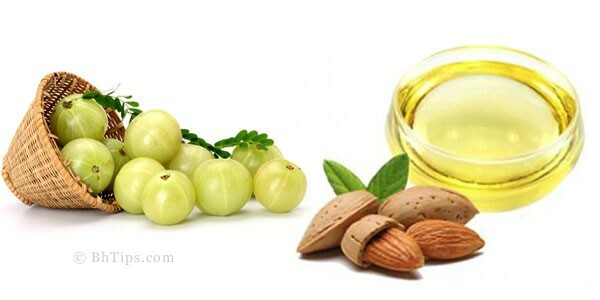 Amla is the most effective ingredient which is used in almost all home treatments for reversing the process of premature graying hair.Amla is a rich source of anti-oxidants that fight against free radicals which may damage the hair follicles. Free radicles not only damage hair follicles but also damage black pigment producing cell(melanocytes). Damaged melanocytes stop producing melanin pigment and hair gradually turn white or gray. Vitamin C and Anti-oxidants properties of ampla pulp and lime juice are highly beneficial to fight against premature aging of hair and also prevent from premature greying of hair. Take one tablespoon of amla pulp and mix with some lime juice. Now massage this mixture onto your scalp leave it overnight. Next morning you can wash your hair and scalp by using your regular shampoo. For best results, repeat this process at least twice a week. A mixture of amla juice and almond oil when massage on scalp is considered very effective in getting rid of premature grey hair. 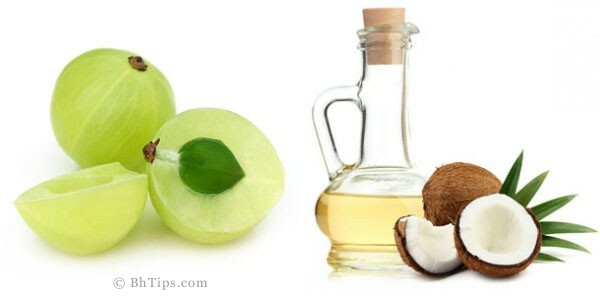 According to your hair length, take equal amounts of amla juice and almond oil. Mix them well and apply this mixture onto your scalp. Massage for few minutes and leave it overnight. To avoid oil stains cover your pillows with old cotton cloth. Next morning wash your hair and scalp with regular mild shampoo. 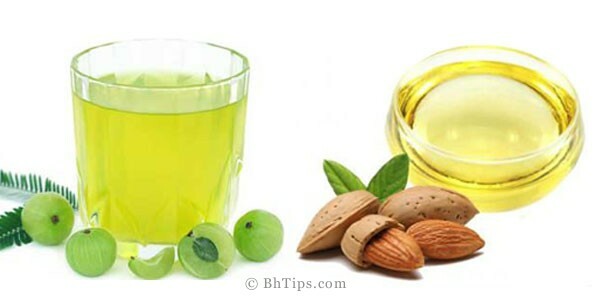 A combination of Amla and almond oil is also considered very effective to cure the problem of premature greying of hair. Amla and almond oil massage not only restore natural black hair colour but also promotes healthy hair growth. Cut amla into small pieces and allow them to dry in sunlight until there is no moisture. Powder this mixture and store it in an airtight container. Your amla powder is ready. Now heat almond oil in a medium saucepan, adding this amla powder. Turn off the stove when it turn brown and allow the oil to cool down. According to your hair length, take some oil and apply on your hair and massage on your scalp. Store the rest of oil in a clean bottle for future use. Amla and Coconut oil has been shown excellent results in getting rid of premature grey hair. Coconut oil deeply nourishes the scalp and protects the follicles of the hair. Greying of hair usually happens when the hair follicles that play an important role in coloring hair, lose their efficiency. However an oil made from amla and coconut oil not only nourishes and repair hair follicles but also helps a lot to prevent further greying of hair. Cut amla into small pieces and allow them to dry in sunlight until there is no moisture. Powder this mixture and store it in an airtight container. Your amla powder is ready. Now heat coconut oil in a medium saucepan, adding this amla powder. Turn off the stove when it turn brown and allow the oil to cool down. Apply this oil onto your hair and scalp and massage for few minutes. Store the rest of oil in a clean bottle for future use. 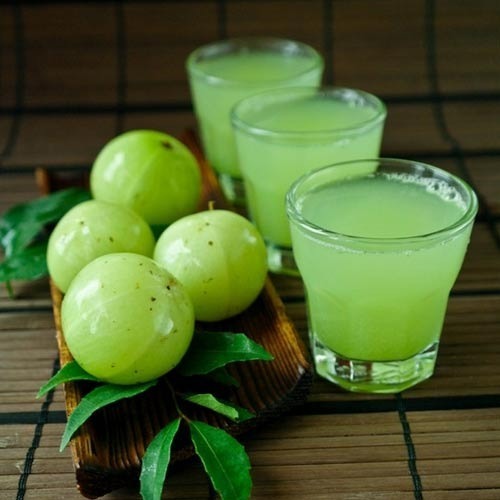 To cure and prevent premature greying of hair, you can directly include amla in your daily diet plan by eating 1-2 fresh amla or by drinking freshly prepared amla juice. Fresh amla tastes sour, slightly sweet and bitter. Take 1-2 fresh amla and cut them into small pieces. You can sprinkle some salt and black pepper to improve the taste. The best time to eat them is in the morning or evening. Alternatively, regular drinking of 1-2 tablespoons of fresh amla juice is also very beneficial in getting rid of premature greying of hair. Similarly, drink this juice is in the morning or evening time.